This empowering series will guide you in self massage techniques using Yoga Tune Up® therapy balls to de-stress, improve body awareness, and unlock myofascial restrictions. Identify and strengthen "body blind spots", areas of the body at are overused, underused, or misused and are potential catalysts for pain and injury. Sign up for one or take all six classes addressing specific body regions. Balls will be provided or can be purchased. Darcy Bowman views life as an opportunity and is inspired in each precious breath. She encourages her students to approach yoga as a way of life, to practice with a beginner's mind, with loving kindness, and with sincerity. Darcy is an RYT-500. She took her 200 hour training at Bright Spirit Yoga in Hoboken, NJ, 300 hour ISHTA training at YogaWorks, NYC. 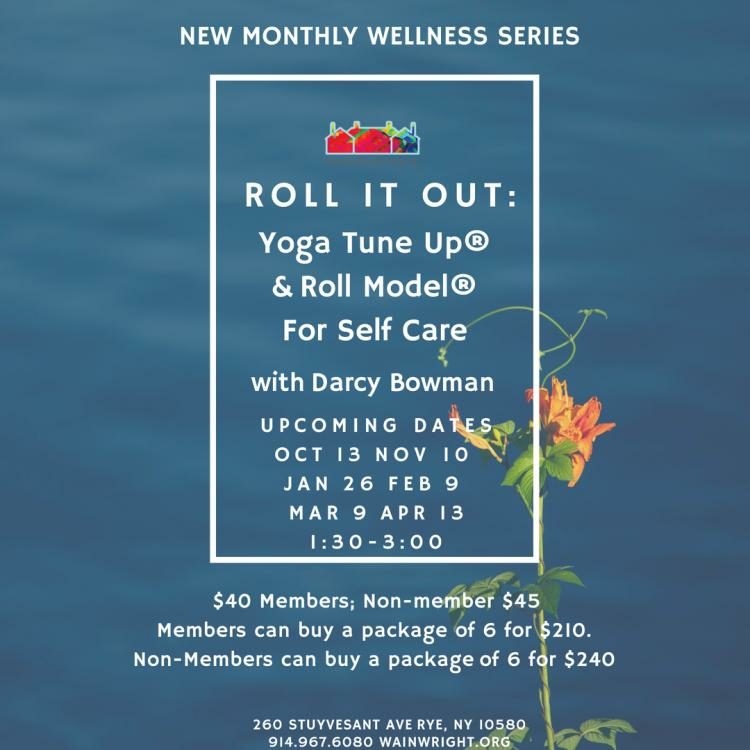 She has taken many additional Teacher Trainings including Yoga Tune Up® with Jill Miller, Advanced Relax and Renew with Judith Lasater, and Anusara Immersion with Lorraine Aguilar. Darcy graduated from Pacific College of Oriental Medicine and is a Licensed Massage Therapist. She has studied extensively with Glenn Black, Jillian Pransky, Nichala Joy Devi and many others. Whether she’s teaching hatha or restorative yoga, she leads with an inquiry based approach that empowers students.